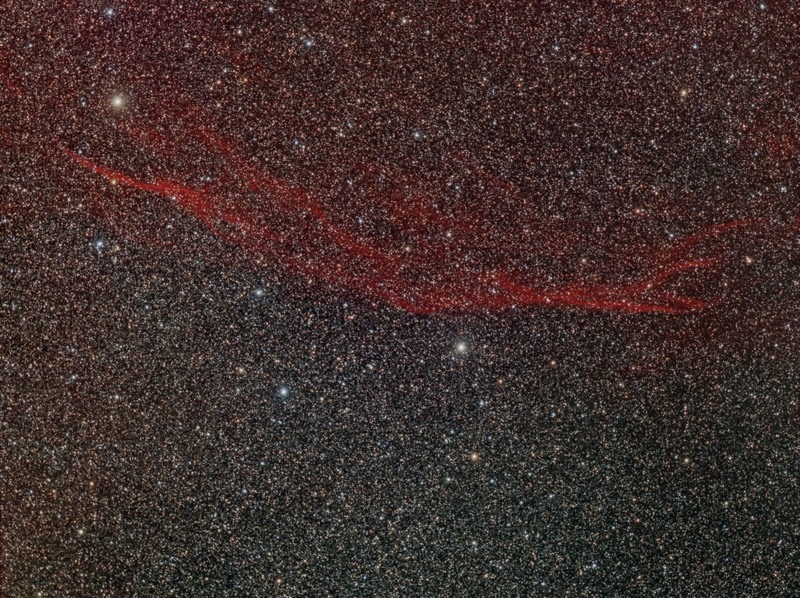 This image is a 2 panel mosaic comprising 28 hours of RGB exposures in 20 minute sub-frames. The images were acquired across 8 nights during November December 2018. Processing is exclusively with Pixinsight. This is the processed result of 10 hours worth of 20 minute RGB sub-frames. 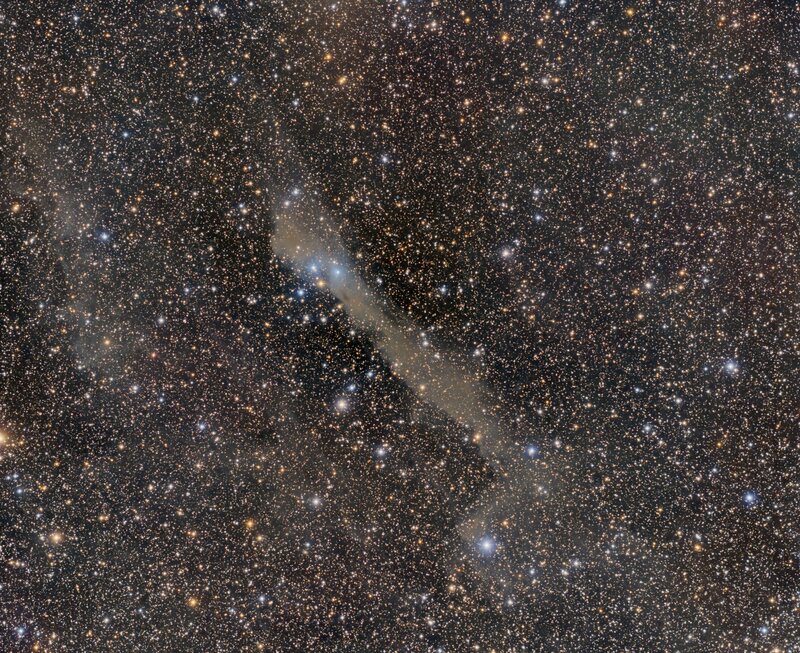 It’s been a while since I last visited this object, a dust cloud on the Andromeda / Cassiopeia border (http://littlebeck.org.uk/?p=1058 & http://littlebeck.org.uk/?p=948). 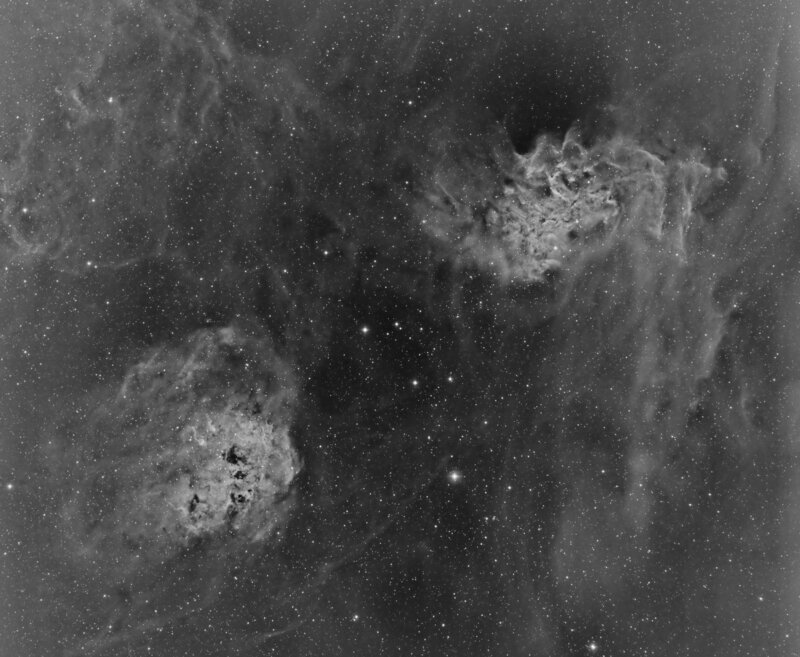 This is the first time with a monochrome camera and RGB filters; previous attempts have been with the KAF8300 equipped QHY9C OSC camera. 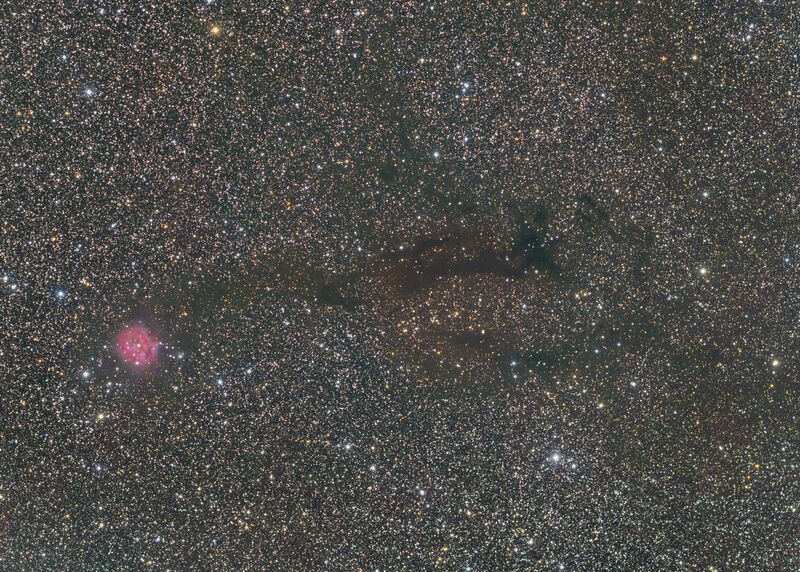 The field with the G3-16200 is much larger and provides a better context for the object. 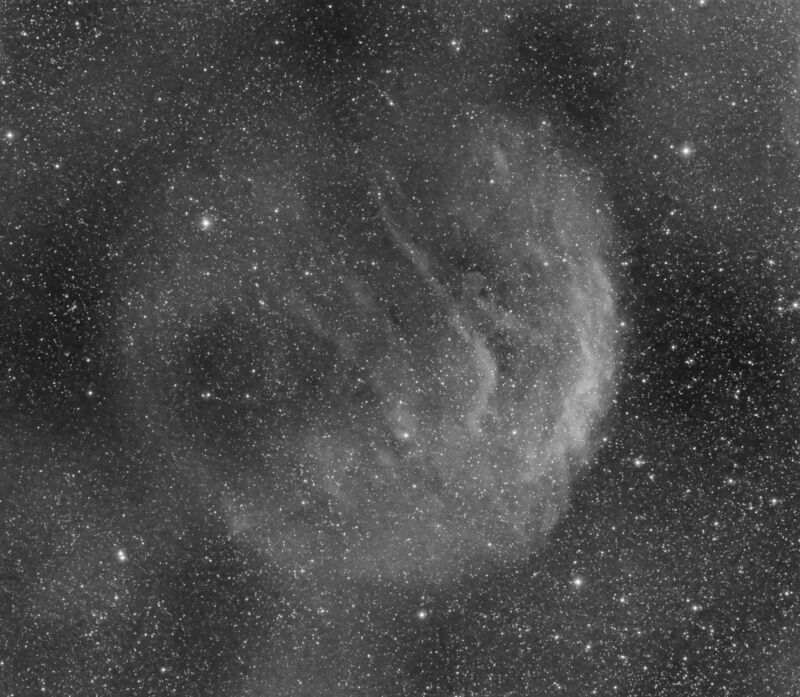 Better data, and much improved processing skills have revealed a lot more of the surrounding faint clouds. This is about 12 hours of RGB data acquired in 10 minute subframes. I’m not a fan of LRGB imaging and very rarely use luminance, preferring instead to spend longer capturing the colour data at bin 1×1. Processing is exclusively Pixinsight. It’s been a while since I last posted here. Images are posted first to the Breckland Astronomical Society Facebook page which a more interactive medium for discussion. 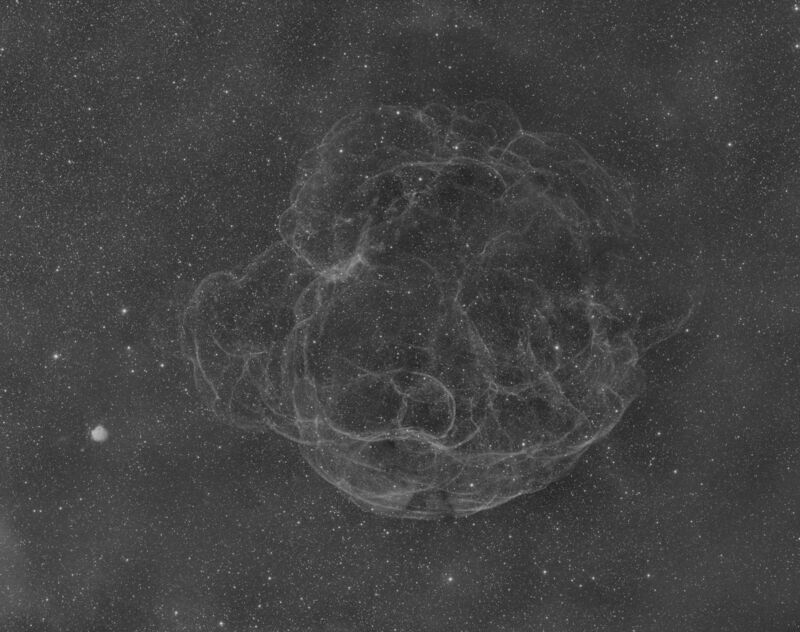 I’ve been busy in the meantime gathering images of the supernova remnant Simeis 147. This is a huge object requiring a 4 pane mosaic to cover it. So far I’ve only completed the Ha image to my satisfaction. In 1966 when George Abell compiled his catalog of planetary nebulae entry 85 in Cassiopeia was mis-classified. 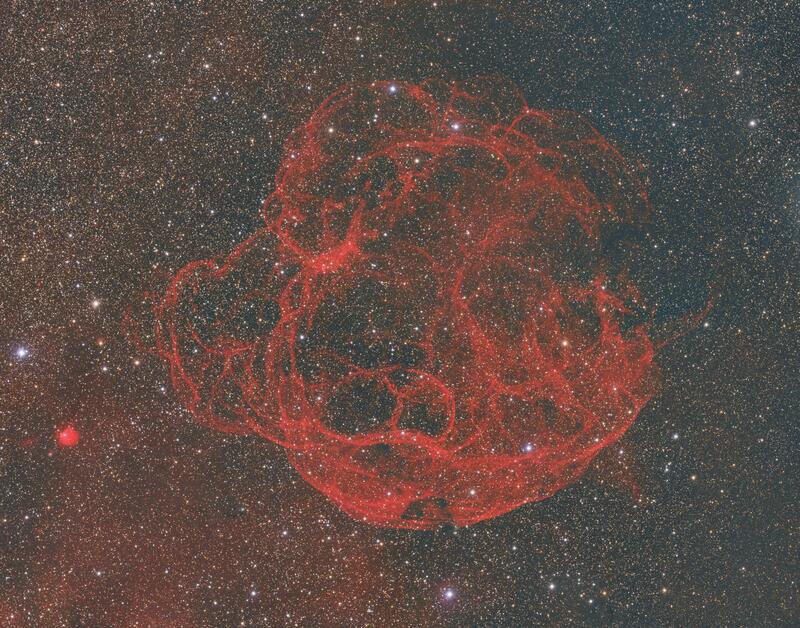 While it has some resemblance to a planetary nebula it is subsequently been found to be the remnants of a supernova explosion . However, unlike the Cygnus loop it’s emission is mainly in H-a with very little O-III. 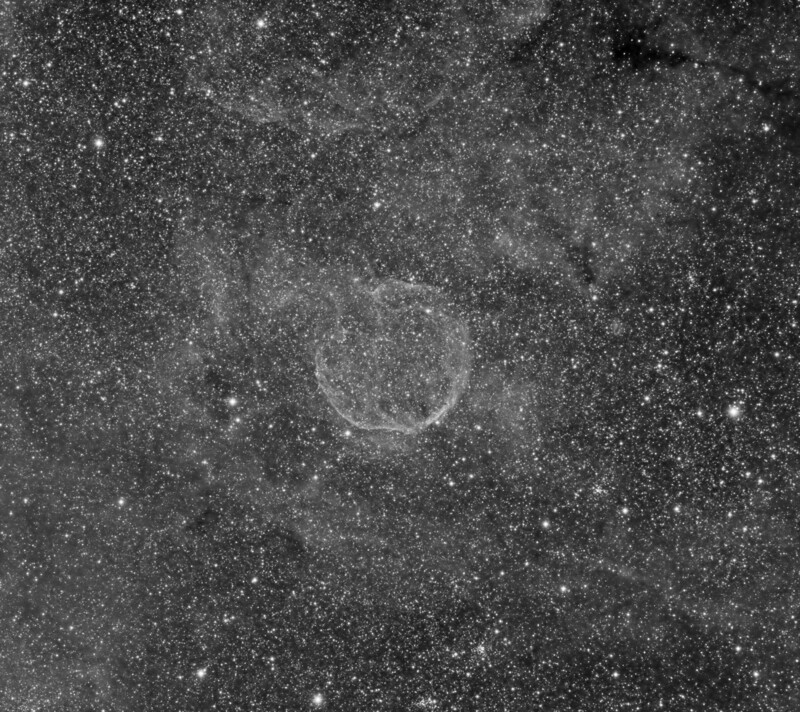 I’m still collecting data for this object but this is a process of the first 12 hours of images shot through a Baader 3.5nm Ha filter. I finally took the plunge and ordered a Moravian G3-16200 camera. This is a monochrome camera and whilst the pixels are slightly larger than the KAF-8300 equipped QHY9 there are also a lot more of them. Setting up has been rather a long process that still isn’t completed but at least it’s attached and able to take pictures. The increased sensor size and weight has highlighted some issues with my Takahashi FSQ85-ED Baby-Q. There is some tilt in the optical train and stars are elongated in the corners. Hopefully, I’ll be able to work out solutions for these problems. 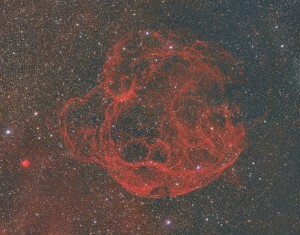 One of my purchases was a Baader 3.5nm Ha filter and this image was taken with it last night. 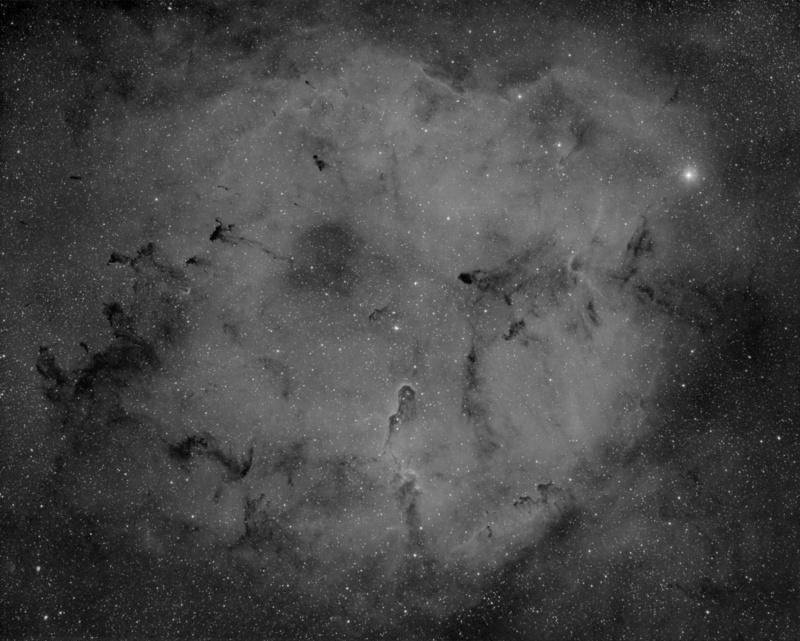 The night’s are still very short here so only 2 hours in 20 minute sub-frames of the emission nebula IC1396 in Cepheus.